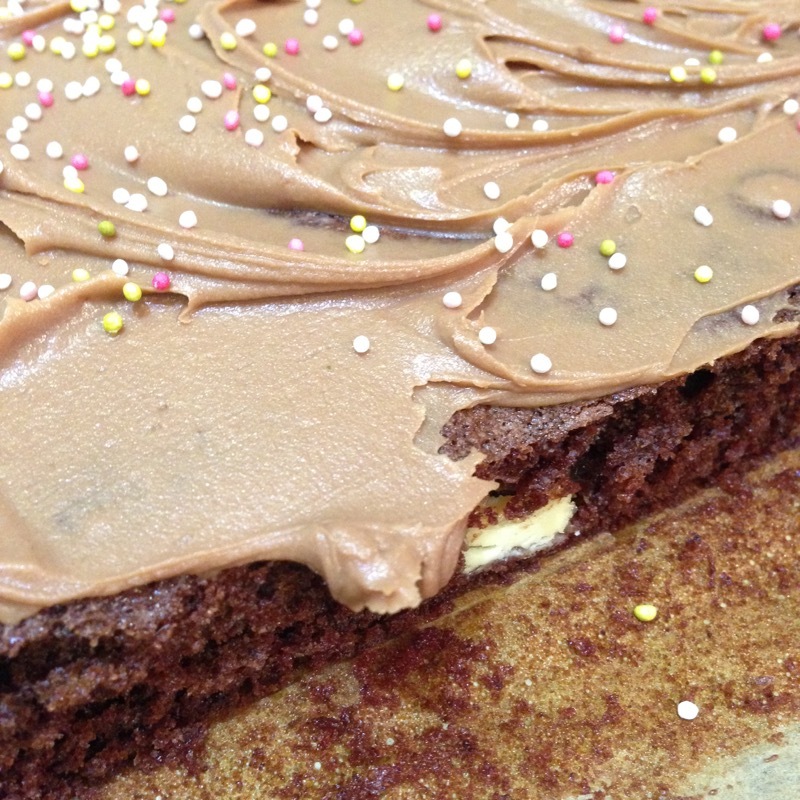 Yesterday we made a chocolate brownie cake tray bake thing with chocolate cream cheese frosting. It’s not exactly a brownie because it has a more cake-y texture, but it’s baked in a brownie tin and has chocolate chunks, so it’s a cross-breed. Anyway , let’s just say I couldn’t stop myself at one piece. 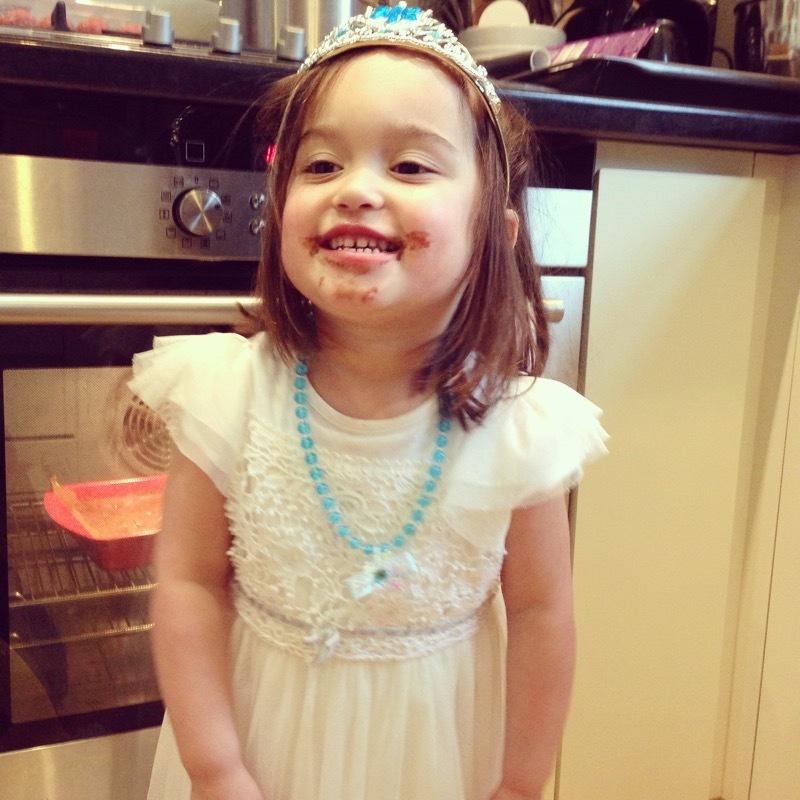 Sophie’s favourite part of the process, as ever, was licking out the bowl. It is honestly the most peace I get all day long when I allow her to do this. A good 15 minutes. 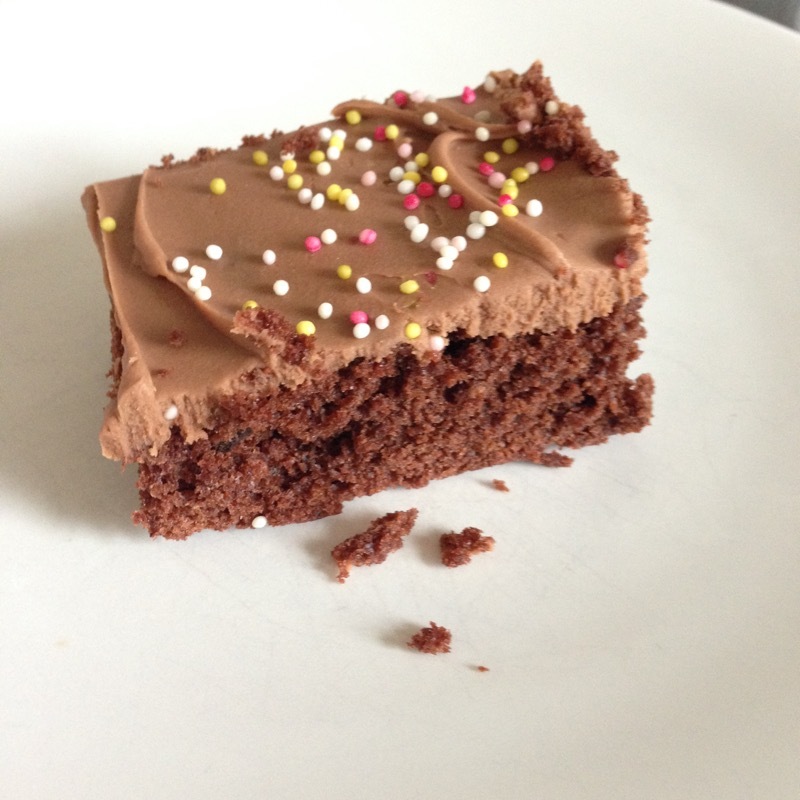 Kids can help with weighing and mixing the cake, and mixing and spreading the icing in this recipe. Preheat oven to 160C. Line a rectangular brownie pan with baking parchment, coming up two sides (to help lift the cake out later). In a large bowl, cream the butter and sugar together until light and fluffy. Add the eggs a little at a time, with a tablespoon of flour. Sift in the flour, cocoa powder, and baking powder, and add the milk. Beat until well mixed. Stir in the chocolate chunks. Spoon into the tin and push out into the corners, levelling the top. Bake in the preheated oven for 25 minutes, until risen and the sides start to come away from the tin. Remove from the oven and cool completely in the tin. Make the frosting. Melt the milk chocolate in the microwave (10-20 second bursts, stirring between each one, until melted and smooth). Beat in the cream cheese and allow to cool a little to thicken. Remove the cake from the tin by lifting up the baking parchment. Spread the frosting over the cake. We added sprinkles or you could use chocolate shavings or curls, or just leave it as it is. Cut into 15 rectangles to serve.